I think I went into this one with my expectations a little on the high side. Don't get me wrong... it was good... I enjoyed every minute of it. But for some reason I was just expecting more. Most vampire movies play with the legend some... and this one is no different. There was a couple main differences with these vampires. The most noticeable would be the teeth... we don't get the normal vampire fangs here. In this case it is more like jagged teeth... as every tooth in their mouth comes to a point. To me at least... this is different...but forgivable... though it did take a little while to get used to. The other part of the legend they played around with is not being able to enter your home without being invited. In this movie they can just break right in... nothing stopping them. But no big deal there... that was something that bothered me even less then the teeth thing. Anyway... really enjoyed the movie... definitely feel fine recommending it. 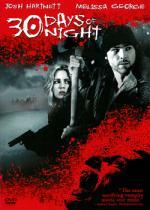 Just don't get your hopes up too high... even though this is a good vampire movie... it isn't the best one I ever seen. Imagine a creature on the verge of creation. 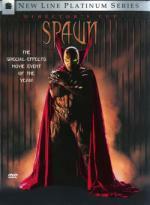 From comic book legend Todd McFarlane comes the live action special-effects movie event of the year - SPAWN. Michael Jai White, John Leguizamo and Martin Sheen star in a battle beyond good, beyond evil and beyond imagination. This is only the second time I ever watched this movie. Which really is surprising since it is one of the very first DVDs I ever bought. I bought it the same day I bought my very first DVD Player. It is a pretty cool movie with some great special effects. I basically decided to pop this one in because it was one of the first movies I ever bought (a good 10 years ago)... to see how it would look after all these years. And it still looked as it did the first day I bought it. Granted it isn't one I watched a lot... but it does show if you do take care of the discs the do have a long shelf-life. Anyway... was a fun movie to watch... glad I watched it again. Based on the true story of The Bell Witch of Tennessee, 'An American Haunting' is the story of a spirit who brutally attacked the Bell family causing the death of one of its members. Years later, we are taken back to the most horrific of nights to find out the truth of the spirit's nature and origin...the night it was born. Second time I watched this movie... first time on DVD. The last time I watched it was several months back on On-Demand. I enjoyed it so much then that I knew I wanted to add it to my collection. This month I found it at Walmart for only $7.50... so I just had to grab it. I enjoyed it just as much this time around. As usual... Donald Sutherland did an outstanding job. As did everyone else... but I have been more and more impressed as I watch more of Donald Sutherland's work. I am becoming a fan of his. There is a nice selection of extras on this disc... but I didn't check them out this time around... decided to save them for the next viewing. Unfortunately there was no Theatrical Trailer on this disc. (a pet peeve of mine) as I like to get in the mood of a movie by watching the trailer first. 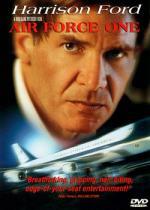 Harrison Ford, Gary Oldman and Glenn Close star in two-time Oscar®-nominee Wolfgang Petersen's gripping thriller about a steadfast U.S. President who has just told the world he will not negotiate with terrorists. Now, Russian neo-nationalists have hijacked Air Force One, and the President is faced with a nearly impossible decision -- give in to terrorist demands or sacrifice not only the country's dignity, but the lives of his wife and daughter. Another movie that I haven't seen in several years. I really enjoyed watching it again. I actually forgot just how much I enjoyed this movie! I thought everyone did a wonderful job... and felt it is a movie that is a lot of fun just getting lost in.